It was 3 June 2013 and my destination for that night was Lugar do Corgo between Barcelos and Ponte de Lima on the Camino Portugués. 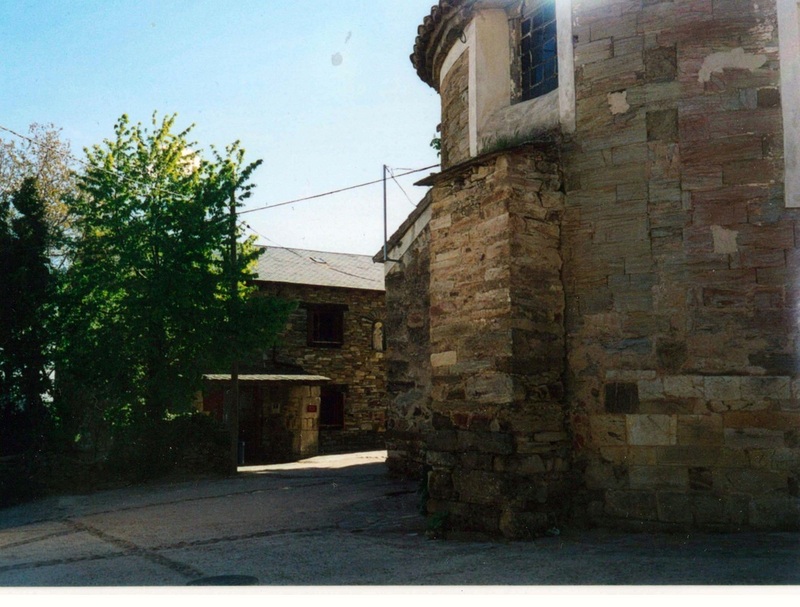 I had been walking for eight weeks, firstly on part of the Via de la Plata and then on the Camino Francés. By now, I was feeling weary and looking forward to arriving in Santiago. 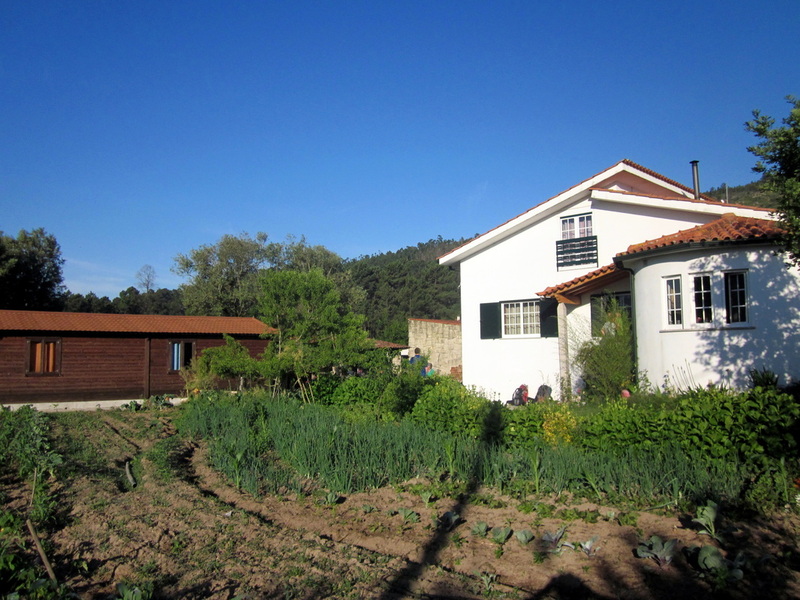 Lugar do Corgo is a small village with no shops as far as I could ascertain and the only place to stay is Casa Fernanda which is the home of Fernanda and Jacinto and their young daughter. They have been welcoming pilgrims into their home for 10 years and three years ago augmented the two doubles in the main house with separate accommodation containing 12 beds. During the evening of my first day, Fernanda suggested that, as I looked tired, I may like to stay an extra day - a suggestion to which I enthusiastically agreed. So, after breakfast the next day, I helped strip beds of linen, swept the rooms and cleaned up the kitchen and lawn areas. Both Jacinto and Fernanda left for their full time jobs, leaving me to look after their albergue and the new arrivals. Jacinto arrived back at around midday to cook lunch and, an hour or so later, disappeared to return to his job. Before I had fully realised that I was an assistant hospitalero, I was looking after the albergue and making walkers welcome even if they only stopped for a short rest and a drink of cold water. Everyone was welcome and late arrivals were somehow found space and given a bed, even if only a mattress on the floor. Mornings were very busy but, after lunch, there was time to talk and I have many happy memories of meeting some extraordinary peregrinos. After dinner, bottles of port would be opened and we gathered around to talk and sing. Hopefully there would be someone to play the guitar. Time fled by until I had been there just under a week and knew it was time to move on. It was with regret that I said goodbye to Fernanda and Jacinto, two wonderful people. 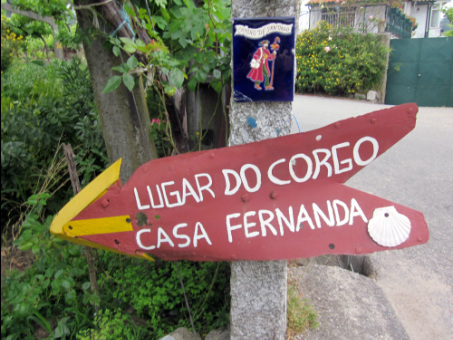 Casa Fernanda is not a typical albergue as all beds are real beds with linen. All meals are provided and beer, wine and port are supplied in moderation. Payment is donativo. the UK based Confraternity of St James (CSJ) at Rabanal del Camino . always full of pilgrims and their washing. News always travelled fast and everyone was eager to see the animals when pilgrims with a horse or donkey arrived in the stable area. On wet and cold days, Rufugio Gaucelmo took on a cosy atmosphere as everyone gathered around the open fire to dry boots and have a multicultural sing-along with guitar accompaniment. The day’s highlight for me was at dawn. The pilgrims were refreshed, their farewells were warm, their steps were light and anticipation that they would soon place their stones at the Crux de Ferro was high. I enjoyed this time of standing still on the Camino and value the opportunity to repay the kindness that I had received along the way. In 2004 I volunteered as a hospitalero at the U.K. Confraternity’s rufugio, Gaucelmo - in my unbiased opinion, the best refugio on the Camino. Australia, I would need a cup of tea, a Bex and a good lie down. However we got on like a house on fire. He took on kitchen and outside heavy duties, chopping wood etc. and I opted for the dormitory and bathroom. It was Easter and freezing – brrrrr when I arrived – ice on the windows and cars and so cold a water pipe had cracked which meant that the pilgrims only had the outside barn to shower unless the plumber turned up to fix it. Given that it was Easter, we were not confident – oh we of little faith, of course he turned up – just in the nick of time. We really spoilt our pilgrims that Easter, hot cross buns on Good Friday and Easter eggs on Sunday but I think they were more grateful for the roaring fire in our salon than anything else. Michael baked a tea cake for the pilgrims every day for afternoon tea except one day when he had a siesta after lunch and didn’t wake up in time. Under my watch, the pilgrims had tea and a plain biscuit – our reputation went down a notch that day. Though cold in the morning and evening, during the day it was sunny and warm so after our chores were done Michael headed off to pursue his passion for photography and I would – guess what – walk to the next village of Foncebadon or back to the famous Cowboy Bar in El Ganso for lunch. to be guided by the villagers to the bus and safely home. After I left Rabanal, I took a bus to Santiago where I stayed for quite a few days. During that time I was warmly embraced by many pilgrims who had stayed at Gaucelmo. They had recognized me as “their” hospitalera. It was really a privilege to serve the pilgrims and also to be a part of the community of the small Spanish village of Rabanal del Camino for two weeks. It was in every way a Camino of its own.